This autumn the Nansen-Zhu International Research Centre (NZC) in Beijing, China, and its partners celebrate their 15 year anniversary of rock solid science. Behind this successful collaboration between Chinese and Norwegian researchers one man stands out beside the initiators. Yongqi Gao, research leader at the Nansen Center in Bergen, has been a very important key person in this matter. Our Chinese colleague describes it in a slightly different way though. - I have been like a glue and filter in this collaboration, Gao illustrates. He moved to Beijing where he started his education in 1984 and ended up in Bergen in 1996. You came to the Nansen Center 22 years ago and you have established your family here. How did this come to be? - My Chinese supervisor, Prof. Dengyi Gao, visited the Nansen Center and met former director, Ola M. Johannessen, in 1995. The two of them decided to have a Chinese student at the Nansen Center. I became the lucky one and one year later I moved to Bergen. The original plan was only for me to complete my education in Bergen. During my studying for a master’s degree and PhD I started to like the city and got used to the life here. Honestly, I still find Bergen as a very peaceful city to live in compared to the daily life in China, Gao says. 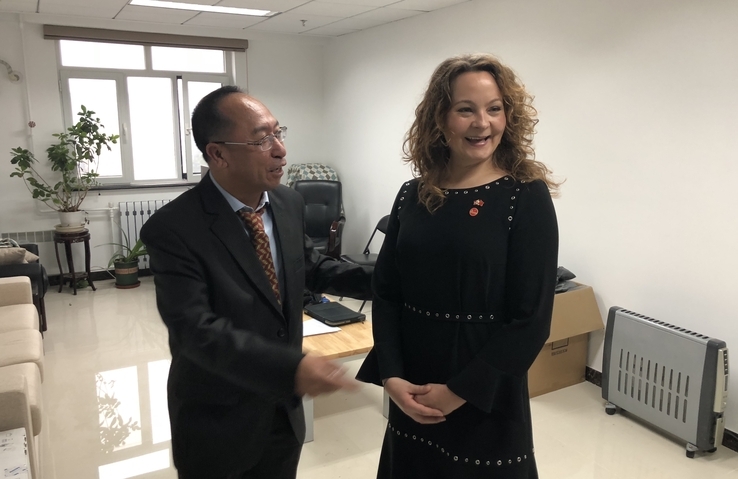 In 2002 Ola M. Johannessen and Helge Drange from the Nansen Center in Bergen were the Norwegian initiators in the Norwegian-Chinese collaboration to establish the Nansen-Zhu Centre, but Gao also played a part in this early stage. – With my background I had knowledge of which institute we should contact and who could be key people in order to establish the center. On the other side I also knew what my Norwegian superiorwanted and the purpose of the mission. So, my role was to identify good and strong focal points in China that could have the same interest as us, he says. There were different challenges on their path to establish the center in China. – It was not obvious to easily identify a strong Chinese partner with whom to establish the NZC. We were wondering which institute was scientifically strong enough to be our partner in China for NZC start-up. We needed a partner that had the capability and willingness to be the key driver in China. We asked ourselves how we should strengthen our common interests and how to downplay potential disagreements. There was also a question mark regarding who should be the bridge to be fully trusted by both Chinese and Norwegian partners. We also thought about how we could translate each other’s need into easily acceptable language for both parties, Gao elaborates. - During the whole process I felt included, but I also think my superiors knew that I had the competence of providing knowledge about the Chinese system. Without that knowledge we could easily sway around in China like a boat in the Pacific where you never reach the coast. Later, the challenges were different. Due to cultural differences, understanding each other was not to be taken for granted and misjudging one another could easily happen. We quickly learned the importance of understanding and respecting each other and establishing trust between the Chinese and Norwegian partners, Gao says. He tells that a delegation from the Nansen Center in Bergen (Ola M. Johannessen, Helge Drange and Yongqi Gao) visited Shanghai in 2001. After a short evaluation they decided not to follow up the meeting in Shanghai. Instead they traveled to Beijing and later decided to collaborate with the Institute of Atmospheric Physics (IAP), a strong scientific institute, particularly within meteorology, but also located in the capital. In 2002 the Chinese and Norwegian partners (IAP/Chinese Academy of Sciences, Nansen Environmental and Remote Sensing Center, University of Bergen, Bjerknes Center for Climate Research (replaced by Uni Research in 2011) and Peking University) signed a referendum to establish the Nansen-Zhu Centre. The center was officially opened by former Norwegian Environmental Minister, Børge Brende, in 2003. China has developed rapidly the past decades due to economic blooming. Gao states that NZC, during the same period, has experienced a scientifical boost which has strengthened the collaboration during these 15 years. The funding has increased five times from 2004 to 2018. The staff counted 24 people in 2004 and has grown to 73 in 2018. - When we established the NZC all the students were quite young. Today, ten of them have become professors, five of which completed their studies in Bergen. I am very happy to register that several of them have received prestigious awards and titles, Gao says. Beside the long-term collaboration this is one of the highlights he wants to emphasize. What has been your commitment and motivation to the cooperation between the Norwegian and Chinese partners? - It is straight forward to me. I like China and Norway and I want to devote myself to strengthen the cooperation between these two countries, to deepen the bilateral understanding not necessarily limited to climate research. It has also been important for me to clarify a mutual understanding between the involved partners from both countries on the interpersonal level. It is not necessary at all that we understand each other’s humor. The two countries´ cultural background is understandably different. This is also relevant to keep in mind when it comes to political issues. When a partner in one country has a concern regarding how the partners in the other country will respond, for example a proposal or some questions, I will be the bridge to judge and explore what is the first and potential response. Whenever someone wants to propose something it is easier for me to try to translate the idea, so it can be more readily accepted by the partner in China or in Norway to reach the final goal. In other words; I have been like a glue and filter in this collaboration, especially when it comes to sensitive issues, I think. I always try to stress common interests, and I am grateful that all the partners trust me from both sides, Gao says. You have experienced many years of cross-border collaboration. What are the most important factors you want to emphasize in the process of developing international relations? - I like the saying “If you want to go fast, go yourself. If you want to go far, go together”. The involved partners need to be patient. They even need to be tolerant, generous to each other and respect one another. Otherwise it is difficult. In the big picture it is crucial that international networking is on the agenda in the different sectors of society. Climate change is a global issue and it cannot be solved by one single country, Gao points out. Since 2010 Gao has visited China five times each year. He explains how happy he is to register the success of the Nansen-Zhu Centre when it comes to expansion of personnel, funding and all the joint projects. 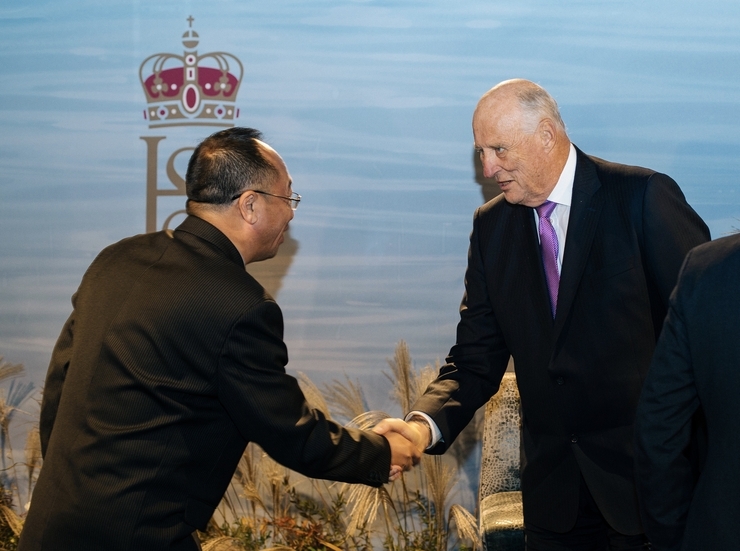 – The future dream is for the NZC to become a national platform for scientific collaboration between Norway and China with a strong focus on Arctic, Yongqi Gao elaborates.